Media Salad supports many nonprofit organizations, and we’re especially pleased to count youth groups in Kenya’s capital city of Nairobi among them. We recently supported a teen forum that attracted more than 100 Kenyan youth wanting to learn more about how to make healthy life choices, engage in their communities responsibly and strategize to secure the education they need to build careers aligning with their personal interests. 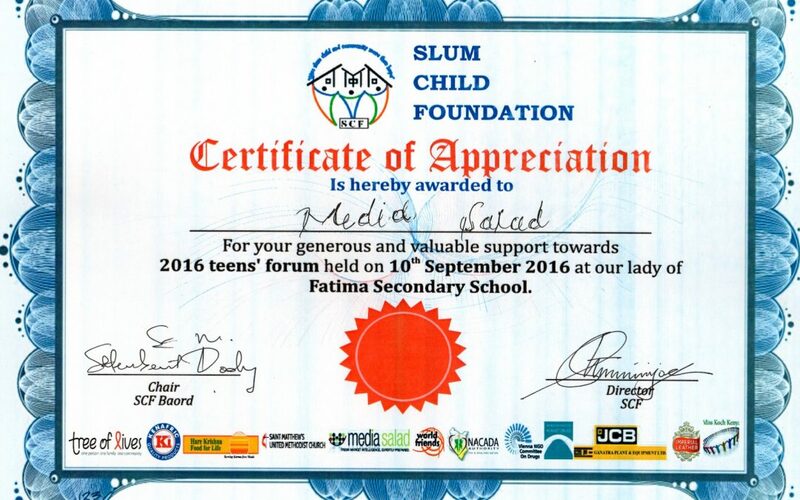 Media Salad looks for meaningful ways to inspire youth around the world to develop effective communication skills. When you can read, analyze, write, edit, photograph, design and program, you can make ours a better world. Contact us with details about your communications-focused project for youth. We’re happy to consider providing some support for it.